When it comes to the new single-family home rising on Lakewood’s Edanola Avenue, builder Dana Paul is in his element. Craftsman-style building, after all, is what he knows and loves. 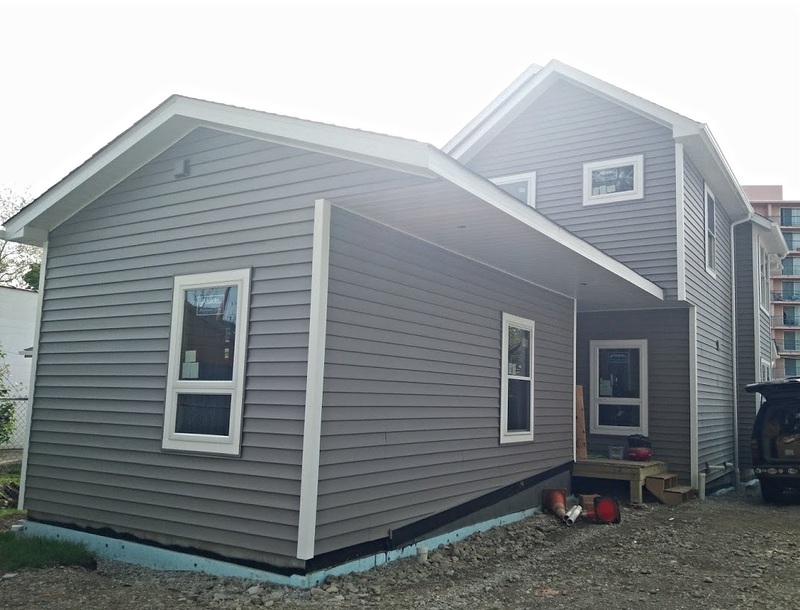 Siding is now up on the house at 1383 Edanola Avenue. 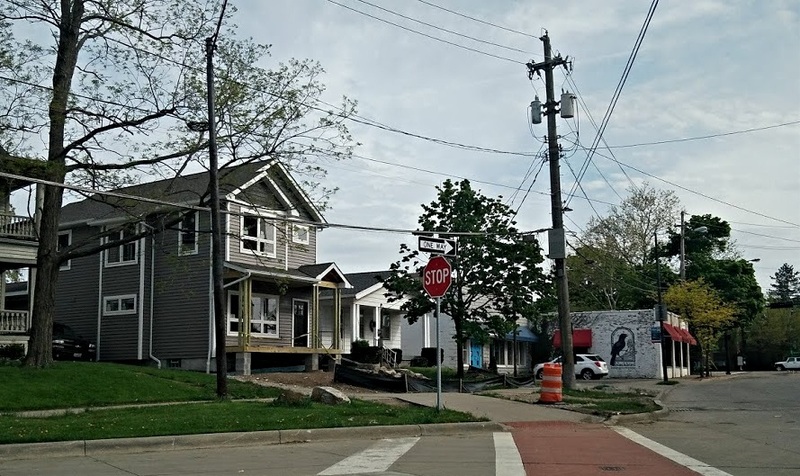 Led by Paul, Prairie Stone purchased the land at 1383 Edanola Avenue in 2017 after being selected to build a new home on the property as part of the City of Lakewood’s 21st Century Housing initiative, which promotes housing stock diversity. 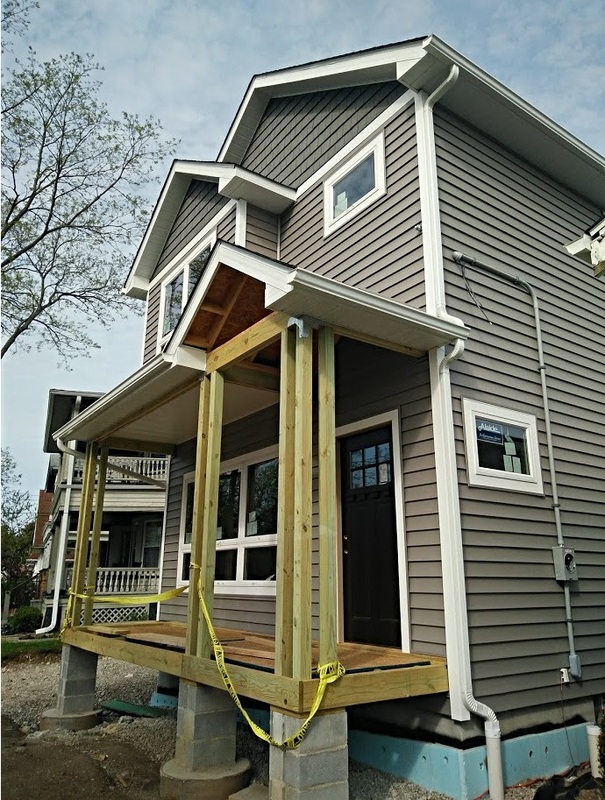 The home will incorporate a first level that is ADA accessible thanks to features like a first-floor master suite, wheelchair accessibility and curb-less showers. Since breaking ground in November, Paul has worked diligently employing his trademark craftsman building style that emphasizes handcrafted quality and keen attention to detail. His progress has been as steady as a spring rain shower. 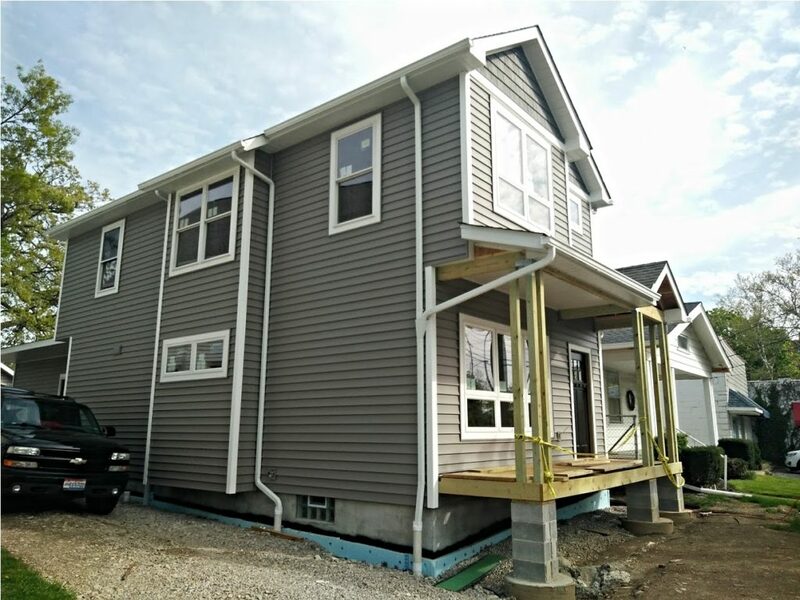 Last week Double 5” vinyl siding was installed featuring a unique shade of brownish gray that’s complemented by charcoal-colored siding near the home’s roof. 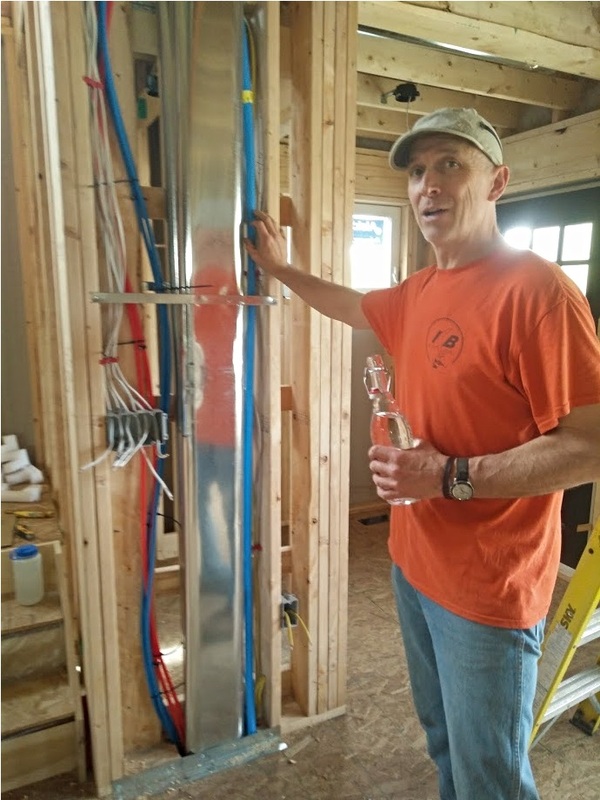 This milestone follows others in recent months, including the completion of rough wiring and plumbing, the addition of an on-demand hot water tank and the installation of a furnace with corresponding ductwork. 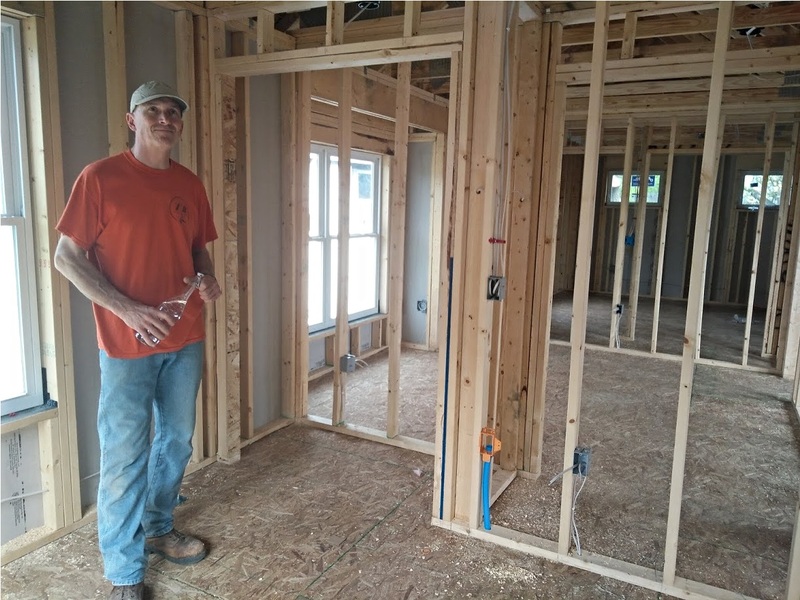 Builder Dana Paul shows off the home’s second level. Next steps on Paul’s to-do list include the installation of insulation and drywall in the coming weeks. 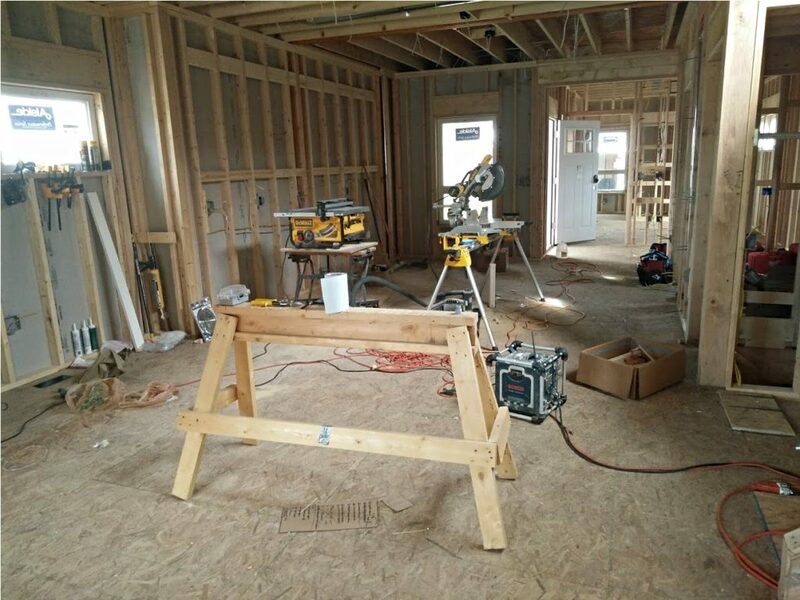 The downstairs level will feature a spacious master bedroom with en-suite bathroom, a separate half-bathroom, hardwood floors and an open-living concept for the kitchen, dining room and living room. The decision to implement a nine-foot-high ceiling on the first floor is at least in part a product of Paul’s 6-foot-4 height.